Who is Responsible for Paying for Illinois Workers’ Compensation Benefits? In Illinois, like in many other states, companies are required to cover the costs of workers' compensation claims and benefits. Normally, states accomplish this by either having companies pay into a fund or by having them directly pay employees. Illinois' system adopts the first approach. How Does Workers' Compensation Work In Illinois? Employers are required by Illinois law to pay for workers compensation benefits. They typically pay directly into the state fund, through private insurance, or by completely covering the costs themselves. In some states, employees and employers may share in the costs. However, in Illinois, no part of the workers' premium or benefit can be charged back to the worker. If you have any questions about who will pay benefits, there should be a notice at your place of employment detailing this information, but you can also check the Illinois Workers' Compensation Commission (IWCC) website at http://www.iwcc.il.gov/. If you are denied benefits, you and your attorney should directly seek an explanation from your employer. Time is of the essence- delays in responding can lengthen the time it will take to receive support. After continued denial, you need to file a claim and request a hearing with the IWCC. How Do I Check If My Employer Offers Workers' Compensation? First, you need to understand that you are probably covered by workers' compensation if you are an Illinois employee. More than 90% of all employer workers are entitled to workers' compensation protections according to some estimates. There are really only a few exceptions to this broad requirement including LLC members, sole proprietorships, corporate officials, and a few others. Although, if you want to check, then you can search the Illinois Workers' Compensation Commission's (IWCC) website here ( http://www.iwcc.il.gov/) to see if your company offers it. Additionally, you can call their offices at (312) 814-6611. What Do I Do If My Employer Doesn't Offer Workers' Compensation? Companies can face stiff fines for failing to carry insurance or cover workers' compensation claims. For instance, the Illinois government can punish them up to $10,000 for violating the requirements of workers' compensation. While every company is supposed to display their workers' compensation compliance and procedures this does not mean that they will. Therefore, if you feel like they are not or have not abided by their obligations, then you can reach out to the IWCC or our law offices to verify their insurance carrier, coverage options, and other information. What Should I Expect From The Workers' Compensation Process? First, you can complete some of the process anonymously. If you think that your employer is violating provisions of workers' compensation law, such as by not carrying insurance to cover workers' injuries, then you can reach out to the IWCC without giving your personal information. If you do decide to file a claim with your company, then you have to submit a description of the incident. 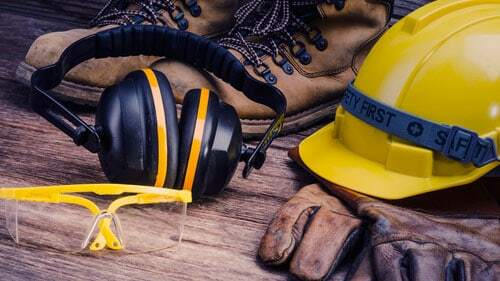 Then, it is their responsibility to cover the costs of the work-related injury including hospital bills, rehab expenses, disability payments, and other things that might arise due to the incident. Think You Might Have A Workers' Compensation Claim? Call Us! Workplace injuries can strike out of nowhere leaving you disabled and with lots of expenses. A lot of people that we meet with don't understand that Illinois has a workers' compensation system setup to assist them during this hard time. It is there for employees like you. We have worked with many workers who have been hurt on the job. You first need to learn your rights. Then, you need to take appropriate steps to ensure that you obtain the benefits that you deserve. This is where we can help. We have a capable and passionate team dedicated to fighting for harmed employees and if you contact us, we can instruct you on how to go about acquiring the legal relief that you deserve. Can I Choose my Own Doctor to Treat my Work-Related Injury Under Illinois' Workers' Compensation Law? How Much Will It Cost me to Use an Illinois Workers' Compensation Lawyer to Handle my Claim? I Have an Open Workers' Compensation Claim That I Have Received a Settlement Offer For. What Happens If I Settle That Claim? I Was Hurt Over a Year Ago at Work But Never Filed a Claim. Is It Too Late to Receive Illinois Workers' Compensation Benefits? What If I Was at Fault For my Work-Related Injury. Can I Still Get Workers' Compensation Benefits? What Kind of Benefits Can I Get When I File an Illinois Workers' Compensation Claim? What or Who is Covered Under The Workers' Compensation Laws of Illinois? What Should I do to Apply For Workers' Compensation Benefits If I Have Been Injured While Working at a Job or Factory In Illinois? When Should an Employee Seek The Help of an Illinois Workers' Compensation Attorney?